TR1 wrote: How exactly has the US Navy accepted the Su-24 jammed Aegis??!?! “The Donald Cook’s mission is to reassure NATO allies and Black Sea partners of America’s commitment to strengthen and improve interoperability while working towards mutual goals in the region ." Donald Cook & Taylor were supposed to be in the Black Sea for an extended period of time . However , the Donald Cook cut short it's mission & left immediately after the incident . Pentagon has NOT clarified why it left abruptly . The Pentagon actually used the term "provocative" and "un professional" to describe the incident. From that to the Su-24 jamming anything is a huge jump. Su-24 was designed to penetrate western IADS with Patriot and HAWK complexes and naval AEGIS is practically not much different than Patriot. It have 4 SPY-1B radar antenna, which cover its own sector to cover full 360°, so in one direction cover only 1 radar antenna. Similarly as with Patriot in AEGIS this SPY-1B radar do both, searching for targets and engaging them with missiles. By the size, this radar is comparable with 64N6 radar from S-300, so probably Su-24 jammers are able to jam SPY-1B radar, specially in so short distances (depend of what kind of jamming it use and how powerful jammer is), when it is meant to jam Patriot radar. True, it work in different band, than Patriot, but it was not unknown for Soviets and considering Su-24 was designed to penetrate western air defense (also on the sea), than most probably Su-24 jammers were calibrated for SPY-1 radar from AEGIS too. Su-24 wasn't designed with Patriot in mind though. medo wrote: Su-24 was designed to penetrate western IADS with Patriot and HAWK complexes and naval AEGIS is practically not much different than Patriot. It have 4 SPY-1B radar antenna, which cover its own sector to cover full 360°, so in one direction cover only 1 radar antenna. Similarly as with Patriot in AEGIS this SPY-1B radar do both, searching for targets and engaging them with missiles. By the size, this radar is comparable with 64N6 radar from S-300, so probably Su-24 jammers are able to jam SPY-1B radar, specially in so short distances (depend of what kind of jamming it use and how powerful jammer is), when it is meant to jam Patriot radar. True, it work in different band, than Patriot, but it was not unknown for Soviets and considering Su-24 was designed to penetrate western air defense (also on the sea), than most probably Su-24 jammers were calibrated for SPY-1 radar from AEGIS too. Anyway Su-24 did that penetration through Low altitude using Reliyef terrain following radar, not jamming. If it ever use for jamming it will do it from standoff range, which what Su-24MP did. Even in self protection case the jammer will still be sized to the power aperture product of the radar it designed to jam and that's obviously effective not at the distance where the visual identification can be made for that Su-24. Self protection jammer anyway is usually for tracking radar working at C, X or Ku Band where the airplane can still physically provide internal space for the antenna. Lower band jammer like S or L-Band requires pod or larger antenna that take up more space and this is kinda difficult to hide. Did USN publish any photo on the Su-24 i wonder ? Stealthflanker wrote: Did USN publish any photo on the Su-24 i wonder ? No they did not . Whenever they are at fault they choose not to publish any pics . Two years ago the US Navy shot dead an Indian fisherman off the coast of Dubai mistaking them to be pirates . Even in that case they did not release any pics. TR1 wrote: Su-24 wasn't designed with Patriot in mind though. The Su-24M was designed concurrently if not after the Patriot's initial version. The Kh-58 capability speaks to this, as well. As mentioned previously in this thread, the 'Gefest' upgrade is sometimes confused with the Sukhoi upgrade for the Su-24 (aka Su-24M2) which was abandoned in favor of the Gefest package in 2012, after years of haggling, arguments and delays (originally tested in 2001 http://www.royfc.com/news/aug/1301aug04.html). It's reported that the Gefest upgrade is more efficient compared to the Sukhoi one while being 2-3 times cheaper. By late 2013, approx. 50 x Su-24M's were reported to have been upgraded...current numbers are not verifiably known but it's been estimated that around 70-80 have been upgraded serving with units in 3 Military districts. The new subsystem (SVP-24 Gefest & T) allows conducting precision bombing attacks against ground targets in adverse weather conditions. It consists of aircraft on-board equipment and terrestrial automated system of flight mission preparation and control that are connected with the single special software. SVP-24 features comprehensive information processing taking into account many factors that influence navigation accuracy and field use, especially in the course of maneuvering of an aircraft, high performance and equipment reliability, as well as electronic ground map. 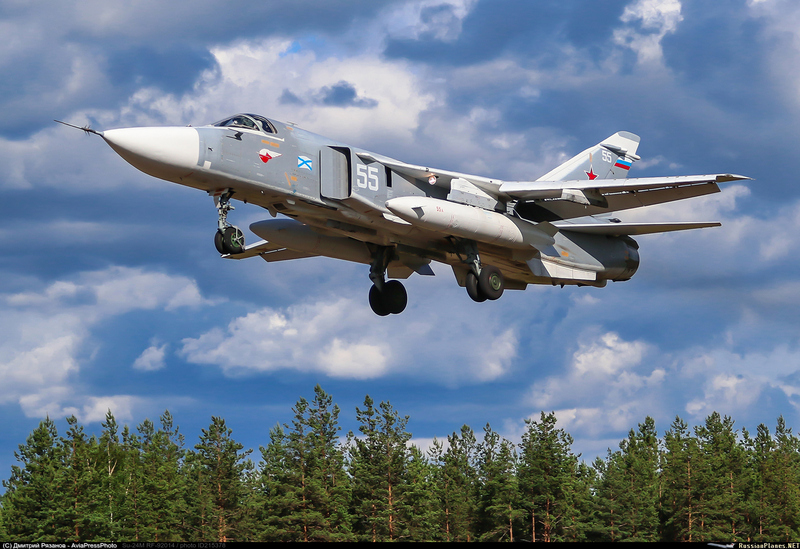 Moreover, the crew of Su-24M has got the possibility to automatically exchange information with other aircraft, and the ground command center has got the possibility of automatic control, including the redirection of the striking force in the real time scale. Expanded range of guided weapons, used on board the bomber, in particular enables the use of Kh-31A and Kh-59MK, anti-radar missiles Kh-31P, corrected bombs KAB-500Kr. Improved aircraft EW system. The Su-25 ("Rook"), equipped with a special computing subsystem SVP-24-25, which provides higher accuracy at stage of state trials, reported by the CEO of "Gefest & T" Alexander Panin, in July 2015. "The completion of state tests are expected in the third quarter after several dozen test flights," - he said. According to the director, "is the solution to equip front-line Su-25 subsystem SVP-24-25 with the successful completion of the ongoing phase state tests." If it is cheap, they should have upgraded quite a few more Su-24's with it. I heard great things about it and could be used for a large amount of aircrafts. MiG-29's, etc. 70 - 80 is quite a low number compared to all the Su-24M's Russia has. But then again, equipment is old, so they may not bother? Fantastic info mate +1 to you tomorrow. I think one segment of those modernization of RuAF planes is not that much mentioned as it should be and it is data link network capabilities. All the time western medias and NATO gives to their planes the upper hand, because they have data link network with sharing situation picture between the planes and command center, that not every one in the group need to turn on their radars and other sensors, etc. RuAF Syrian operation show, that RuAF have the same data link network capabilities, where they share their situation picture between the planes and where one in the group have radar on and mapping the ground to search for targets and deliver them to the other in group or share the picture from UAV and coordinate the work. Satelitte navigation and data link network give night capabilities even to Su-25SM, which doesn't have night equipment. The only thing, which we still have to see is the night picture from Platan complex in Su-34. I wonder if any Su-30SM throw any bomb in this operation in Syria or are they only for air protection and as command plane to coordinate the work with the group. medo wrote: I think one segment of those modernization of RuAF planes is not that much mentioned as it should be and it is data link network capabilities. In the link I posted it says it has the ability to automaticaly exchange information with other aircraft. I'm not sure whether it's done via a ground based command post (like the strelets mentioned above) or directly. A couple of questions.... how many of the fleet of Su-24's were upgraded to have GLONASS? All of them, or the majority? 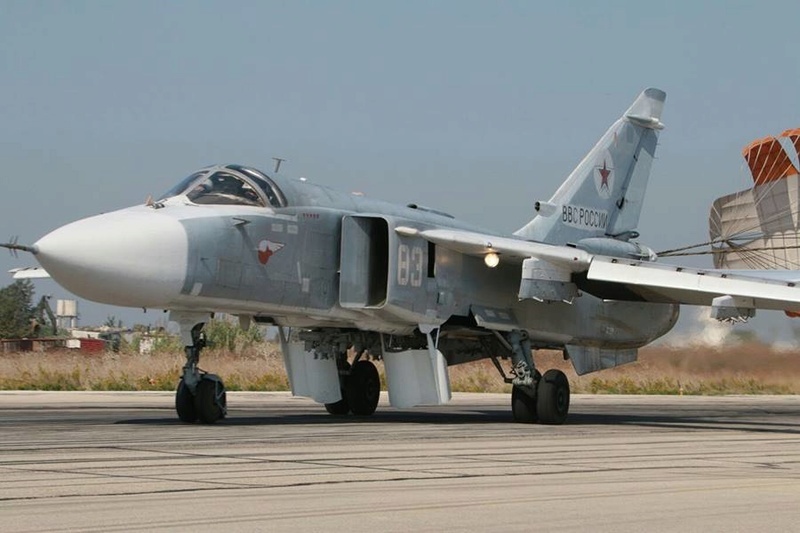 What type of Su-24's are in Syria? The M or M2? The plane that was shot down...what model was that? I wonder, for how many more years they'll be flown? There were unconfirmed reports in the Russian media that 27 officers asked for resignation on the USS Cook after the Su-24 flyby, & that 2 planes were involved- the probable EW plane was at a distance & didn't fly over the ship. Does it all make sense? wilhelm wrote: A couple of questions.... how many of the fleet of Su-24's were upgraded to have GLONASS? All of them, or the majority? Is a good solution in the "old soviet style" , same results without dilapidate resources. Although not likely due to newer aircraft although there was talk about Argentina making a potential purchase. But does any know approximately the price of Su-24M- gefest if Russia was to sell it. Just not sure what second hand aircraft likely go for. Although there is potential to sell I think Russia will focus on selling newer items over selling older systems plus Su-24 must be getting pretty worn now. The UK takes every opportunity to show it is not Russias friend.... why would Russia care if this upsets them? Does anyone think that Russia would be able to find a market or be willing to sell off some of its Su-24? As it replaces them with Su-34. Or do we think that they are getting too old and worn to sell? And which country would likely buy them? 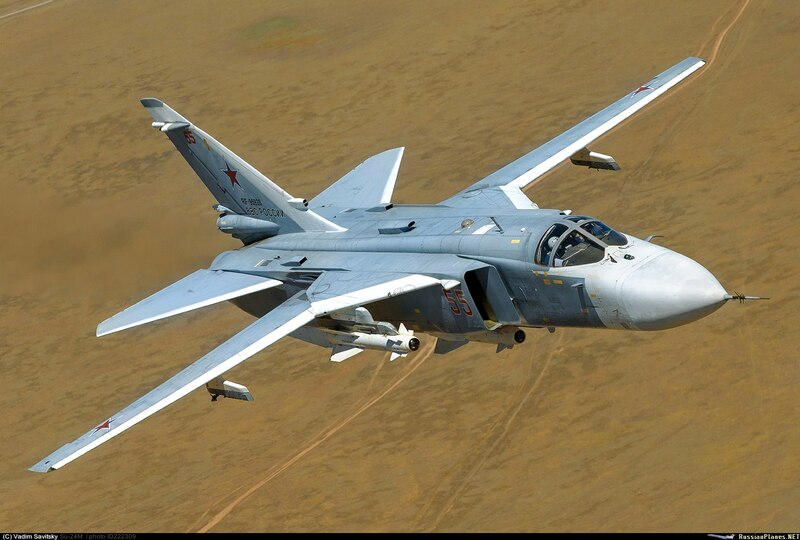 d_taddei2 wrote: Does anyone think that Russia would be able to find a market or be willing to sell off some of its Su-24? As it replaces them with Su-34. Or do we think that they are getting too old and worn to sell? And which country would likely buy them? Depend what they offer. Iran may be intersted if they are cheap to boost its offensive potential in rather short time. Add the capacity to launch the new kh-38 based cruise missile and it became a very good plateform against Saoudi arabia or other US bases around Iran. The other role it could be used for is anti naval attacks. Against ships not protected by airforce they are very good with kh-31 and nice range with very good low flying capabilities. Anyway they are becoming very outdated and old compare to new birds on the market. I doubt anyone will buy them over new mig-35 or su-30. The only way they could sell them is if the price per aircraft is like 5-10 million with upgrades. They are still capable aircraft but like any ageing equipment they are only going to get more and more expensive to operate over time. Certain components can be upgraded and improved, but at the end of the day if you want a strike aircraft you are probably better at looking at something like an Su-30... not exactly brand spanking new in design but with a range of options and equipment fits to allow a range of roles and differing levels of performance to meet almost any ones needs. Buying Su-24s might make sense if you already have some in service and want to boost numbers, but they will likely be cheap because they wont last for ever. Personally I would think buying Su-30s would add more value as it would be a capable fighter as well as capable strike platform and does not have the complication of swing wings... which might be a maintenance and support issue over time. equally, however, I think an Su-30 could carry quite a payload of Kh-31s for use against ships as well as having space for self defence AAMs. 4G Sukhois have still a great value in the market (export orders for the Su-35 close to 100 million, though it is not clear what is included). Su-24 on the other hand are more than ok as shown in Syria with the new SVP-24 but still cannot be sold at the same prices, and as second hand they should be very cheap, overhauling included. For a developing country they would be a great buy IMO, especially if you protect them with some modern capable fighters and support assets. Not even sure Russia should be in a hurry to substitute them, at least while they have hours left in their airframes. You can say the same for the Fencers analogue..the F-111, that was an extremely capable plane and still would be today. The US has nothing in that class today. Russia has a very good replacement in the SU-34. The US relies extensively on tankers, which are all good if you are fighting primitives that cannot take those out.